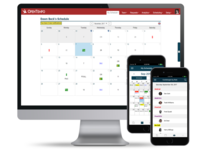 OpenTempo provides Physician Scheduling Software and workforce optimization tools built to support healthcare providers in both private and academic practices. 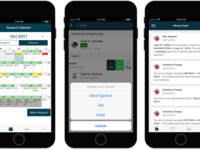 Users gain real-time access to call, shift and daily case schedules via their mobile devices. Comprehensive time-tracking, payroll management, business intelligence and analytics provide your practice with powerful workforce management tools. Full integration capabilities, including EHR, OR scheduling, time, and payroll. Pros: OT allows users to see easily trade shifts and sign up for extra work with only a few clicks. The ability to view one's own personal schedule is made easy as well. Cons: Unfortunately, our anesthesia group has a few oddities and rules that OpenTempo, in its current form, is unable to capture such as our call schedule and post call requirements. It would also be helpful to have a personal report of the times each employee has been to each destination within the hospital. Thank you for taking the time to write a review of OpenTempo! It is great to hear that you are enjoying the functionality to swap and see your schedule easily. As for the rules surrounding call and post call, have you been in contact with our client services team to see whether there is a solution? Your reporting needs seems like something we can capture in OpenTempo, so I would love to learn some more. Please reach out to me directly and we can try to find you a solution. Pros: Able to send request to staff for needing off. Cons: Don't have the ability to ask for partial shift exchange. Our scheduler changes the info after our request. Thank you for taking the time to leave a review of OpenTempo! Your organization are strong adopters of OpenTempo and we value your partnership. We strive to be the source of truth for schedule and communication information, so it is great to see that your are using OpenTempo in that way. Have you suggested the ability to ask for partial shift changes in the OpenTempo Help Center? If not, that is the best place to submit your request because it can be voted on and made a priority for our Development team. Are you still experiencing inconsistencies with notifications? Please reach out to me directly with more information if you're still experiencing trouble and I will make it a priority for our team. Pros: Checking my work schedule using the app anytime anywhere is great!!! Cons: It wasn't easy figuring out how to post a swap nor seeing swaps available. I had to talk to people about swapping and they had to seek it out instead of it made readily available. Perhaps I'm missing something. Overall: I work in a Trauma 1 hospital with a weird schedule that I find hard to remember. Using OpenTempo makes it really easy. Thank you for taking the time to review OpenTempo! One of the main concerns we hear from people when they first reach out to learn more about OpenTempo is that their schedule is too complex and we wouldn't be able to handle it. The truth is, OpenTempo thrives in complexity and there is rarely a situation that we encounter that is too complex. It's great to hear that we are able to manage the "weird" schedule of your level 1 Trauma hospital and make it easy to access and decipher. We have invested heavily in early 2019 to increase the size and capabilities of our Development teams with a goal to further increase the intuitiveness of OpenTempo, so be on the lookout for enhancements. I am going to relay your message on to our Product Owners to make them aware of your feedback and see if there is anything we can implement for future releases. Please reach out to me directly if you have additional comment/questions. Pros: There is flexibility with many of its functions, to the point they are able to truly customize this application not only to our Institute, and but to the individual users. They provide an appropriate amount of training, and offer continued training via conference calls. They are good listeners and problem solvers, and it is a pleasure working with them. Cons: The program is not as intuitive as I would like it to be. Once I learned a lot of the ins and outs of the program, my ability to navigate improved immensely, but that took a little longer than I would have liked. Overall: Working with Open Tempo has forced me out of my comfort zone, and this is not a bad thing. Using this product and immensely increased accountability of all Users, and from a reporting standpoint, this is a very good thing. Thank you so much for your awesome review of OpenTempo! We are proud of you as a customer and thank you for your continued partnership! Pros: I like the online access and easy usability the best. Cons: Honestly, nothing really stands out as a negative right now. I have worked with other programs that were more clunky and had less features available. Open Tempo really seems to meet our scheduling needs right now. 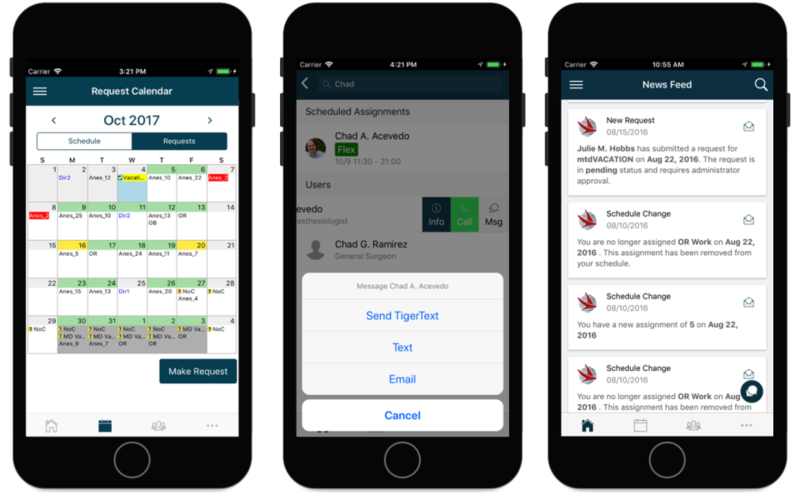 Overall: This program makes it easy for users to view posted schedules from anywhere. In addition, this application serves as a means to mass communicate to the entire department in an easy way. Lastly, it functions well as our employee contact database. Thank you for your feedback and your continued support of OpenTempo! It is great to hear that you do not have much to say from a negative perspective. Pros: The software is very customizable and OpenTempo worked with us to develop a platform that works great for our very complex schedule. Customer support is always extremely fast and helpful. Cons: Certain menus and options are a bit non-intuitive. I sometimes have to write down where to find something within the software because it's hard to remember where a certain function is located. Thank you for your review of OpenTempo! It is great to hear that you find our product very customizable and you find our Client Services team helpful! They are an amazing team that we are very proud of. We have invested heavily in our Development teams for 2019 and one of their many goals is to make OpenTempo more intuitive, so you will be seeing enhancements in those areas. Please reach out to me directly if you have specific suggestions on how we can make menus more easy to navigate. Thank you very much for your review of OpenTempo! It's great to hear that you find our application easy to access and use. Our end user experience is paramount to us. We have invested even more into our Development team in 2019 to further increase the intuitiveness of OpenTempo. I understand what you mean about the abbreviations being hard to decipher. These abbreviations are something our implementation team created with your team. Usually, if the abbreviations were well thought out, they are actually very useful and show a great deal of information in a small space. I would love to learn more if you have suggestions on how to improve your organization's abbreviations or anything OpenTempo related. Please feel free to reach out to me directly. Pros: This is an extremely versatile software suit. If "out of the box" OpenTempo can't do it, their Extensions Development team can make it happen. Cons: I would like even more in depth documentation of administrative tools / tasks. Thank you so much for your very positive feedback of OpenTempo! We value your partnership and appreciate your continued support. Your comments about wanting more documentation of administrative tools/tasks have been heard loud and clear. Improving and increasing our product documentation is one of our main areas of focus in 2018/2019. Please contact me directly if you have any suggestions or additional comments/concerns/questions. 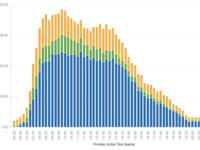 Pros: The fact that it is web-based and real time, so any changes I make are instantly propagated to any device or computer a user may be using. Cons: Takes a long time to get all the details for set up - not the software's fault. The more details that can go in the better the reporting can be. Overall: Taking 31+ individual schedules maintained by 6 admins and bringing to one system, where all scheduling is maintained by one individual. Thanks for your very nice review! We know you're an OpenTempo pro, so I am sure you are making the most of the solution. Sounds like you have really improved the administrative processes for your department. Keep up the great work! Pros: easy of use, choices of screens. low learning curve. Cons: it is on my calendar double , it lists two agendas for every day. Thank you for taking a minute to leave a review of your experience with OpenTempo! It's nice to hear that you find OpenTempo easy to use and are utilizing it across different devices. We strive to make OpenTempo easy to use and accessible wherever you are and on whatever device you are using. Getting real-time schedules into the hands of doctors and nurses when seconds count is of upmost importance to us, so we are glad that you find it easy and accessible. Please reach out to me directly if you have any questions or additional comments. 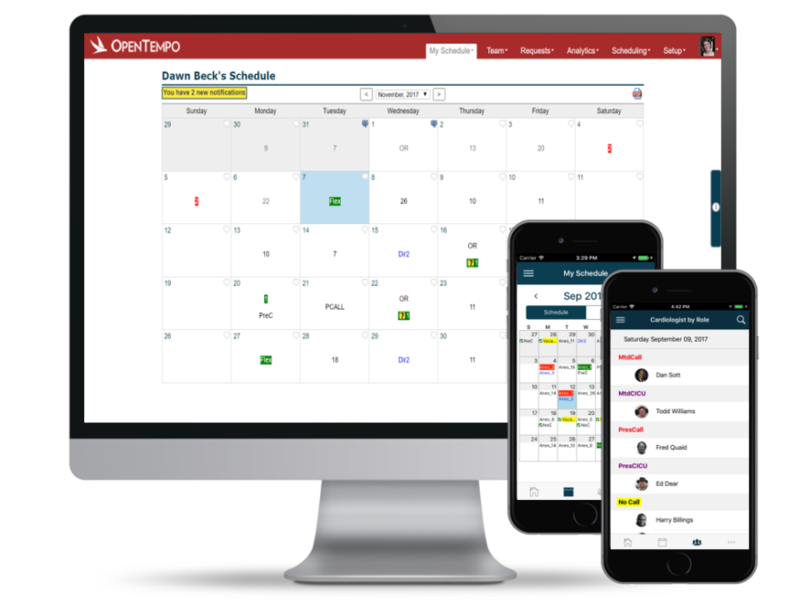 OpenTempo is a great package for physician and nurse scheduling. Pros: The software really allows for a custom build that is specific for your practice. The bells and whistles really come in handy. Thank you for your response, Evan! We are glad that you are enjoying your experience with OpenTempo so far. We are always looking to improve, so please stay in touch with your ideas and feedback. Thank you for your continued partnership with OpenTempo. We look forward to working with you as your organization continues to grow. 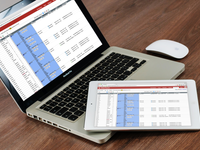 "Revolutionized the scheduling process for large departments with multiple shifts". WOW! Thank you so much for that remark. Coming from an Operations Coordinator, we are delighted and proud that you feel that way! We have invested heavily in early 2019 in our Development teams to further increase the ease of use and intuitiveness of OpenTempo, but it is great to hear you are finding it easy to navigate today! Are you still having difficulty finding teams at your organization? Our search functionality is super powerful, so I would be surprised if there wasn't something we could do to fix this. Please reach out to me directly if you're still experiencing difficulty with search or have any additional information and/or questions. We value your partnership and continued support and we hope to see your team in April at AORN! Pros: The flexibility along with the scalability of this product. There are so many things they thought of when creating this product and they are always updating it with new features. Cons: As with any database having too much access to making changes beyond your ability and understanding of how fields interrelate to one another can be an issue. Overall: Easy access anywhere, anytime. As for your note about having a time frame to add vacation, that does exist in our Request Period feature. Also, we have many different ways that you can change your schedule, for example through swapping with a colleague, or requesting a different assignment or PTO. It sounds like the cons are things that OpenTempo offers, but maybe your department has not enabled the functionality. Please reach out to me directly with more information and I can get in touch with our Client Services team to investigate further. 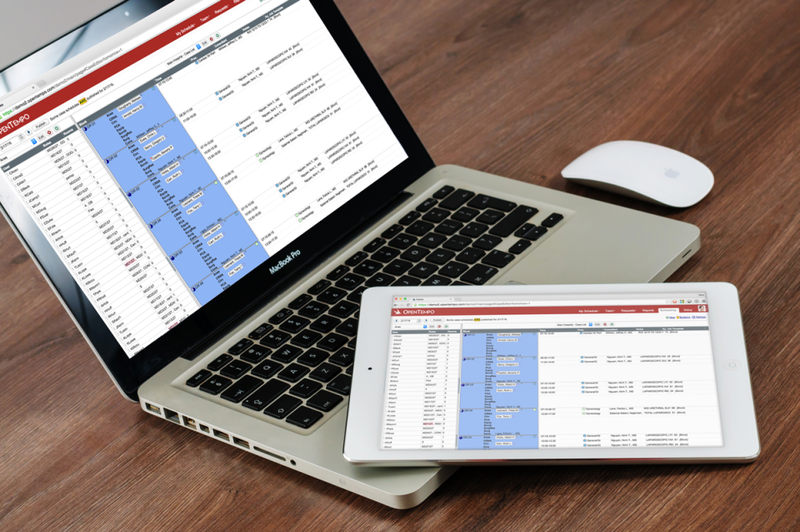 Pros: Open Tempo is a very user friendly scheduling system. We get our schedules out more timely and we get less complaints than we did with our former system. Cons: Getting logged out all the time:) There isn't really anything bad I can say about Open Tempo. They are always there for us. We wish we could give YOU 10 stars, Megan! Thank you for being a part of the OpenTempo family and for your continued support! Thank you for taking the time to submit a review of OpenTempo! Being able to find your schedule and your team is one of the core values we strive to offer in OpenTempo, so we are glad to hear that you are using it in that way. OpenTempo allows you the ability to retract requests after you have submitted them, but your organization may prevent that ability to do so for various reasons. If you have any specific questions or comments please reach out to me directly. Thanks again for taking the time to review OpenTempo! Pros: The amazing number of things you can do with it. It weaves a wonderful, connected web that, when set up properly, can make scheduling a breeze. The support team is also super responsive competent. Cons: It is time consuming to learn this software and it is not intuitive. Some things are difficult to find in the system. Thank you for the review! It sounds like the support team is doing a great job, we are very proud of them! We appreciate your feedback about the "Ease of Use". We are constantly striving to make OpenTempo user friendly and intuitive, so we are grateful for your honesty. During our next OpenTempo Update webinar we will be covering some of the initiatives that the Client Services team are working on to improve the experience of our clients. Pros: Very easy to learn and use open tempo. Great that staff can see and tweek their own schedule. Cons: Sometimes is difficult to access. Codes are difficult to understand at times. Overall: I have to say all is going well and has gone well. Thank you for your feedback and continued support of OpenTempo! We take your comments very seriously and improving your experience with the product is paramount to us. I would love additional information on what you mean about being hard to access and about codes being hard to understand. Thank you so much for your review of OpenTempo. We appreciate you taking the time to give us some feedback. We would love to hear more about how we can make your experience better than "OK"! Please contact me directly so I can learn more about your use case and how we can improve your experience. Pros: Can view multiple site schedules from one program. Mobile app. Cons: difficult to see on one screen what's going on. program and functionality are difficult to get to work properly. 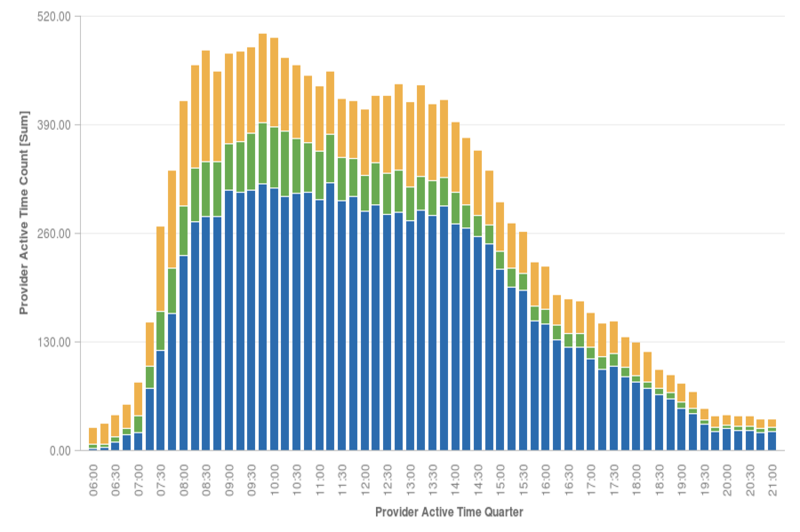 service and response time less than adequate. I apologize for the delay in getting back to you. It sounds as though you have been in contact with our VP of Client Operations since the time of your initial review. I am hoping as a result you are in a better place. Your success is very important to us, so please reach out to me directly if there is still any level of dissatisfaction.